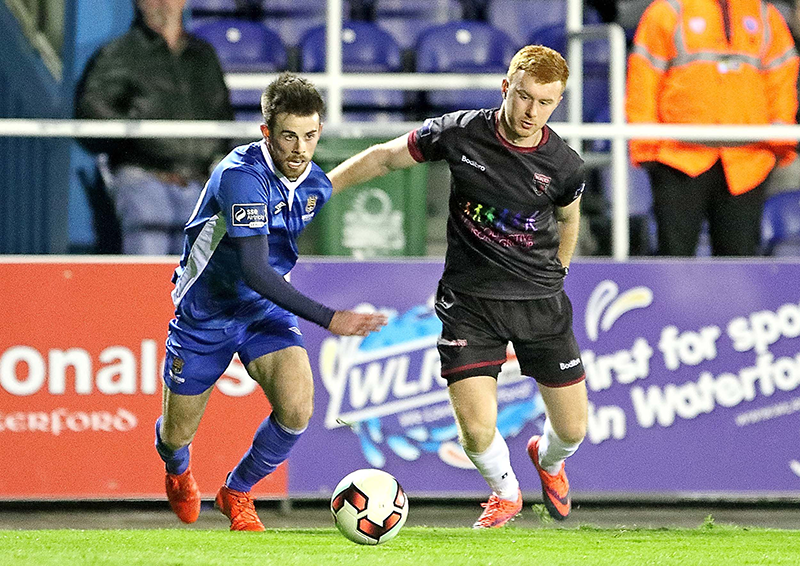 After getting the better of Wexford FC twice already this season in both the league at home and on the road in the EA SPORTS Cup, Waterford FC will be hoping that they can add another victory in the South-East Derby at Ferrycarrig Park on Friday night with an 8pm kick-off. 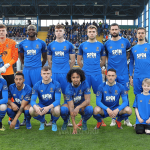 The Blues moved back to the summit of the table as a result of last week’s hard fought 1-0 win over Shelbourne but know that a difficult task awaits against Damian Locke’s Wexford side who are yet to pick up their first win in the SSE Airtricity League First Division but have found themselves unfortunate in a number of games. 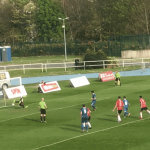 When the sides met earlier in the season at the RSC in the League, a Mark O’Sullivan brace gave the Blues a 2-0 win, while the EA SPORTS Cup meeting at Ferrycarrig Park, the Blues run out 5-0 victors with three of those goals coming in the final three minutes. “I thought that the game last week was a very scrappy game but the lads dug in and we all managed to get the job done. I didn’t think that there were many chances in the game compared to the amount of opportunities that we’ve created in other games so it was nice to get the goal. We battled away and got the three points that we needed. “It’s good to see the young lads coming in, training with us and making the step up because of the amount of injuries that we’ve picked up. Some of them have progressed into the match day squads while others are getting some minutes on the field as well. It’s good to see because I remember that I was in that position as a young lad like everyone else was. “We are now looking forward to another game against Wexford. It’s always a sticky one when a team hasn’t won a game in the League all season so it makes their manager and their players hungrier to get that win but we’ve got to make sure that it’s not against us. “I think when you grind out a result like we did against Shels then it puts us in a good position. We dominated the game against UCD last week but only managed a draw where as we weren’t as good in the game last week but we managed to win. That’s the difference in the winning and losing of the league. Team News: Kenny Browne, Sander Puri, Ian McLoughlin and Dean O’Halloran are all still ruled out as they recover from injury, while Gary Delaney also looks set to miss out through a leg injury. Patrick McClean is rated 50/50 for the fixture as he recovers from a shoulder injury that he picked up in last Friday’s game against Shelbourne. Jack Lynch, John Martin, Dean Walsh and Owen Wall will be fighting for a place in the starting eleven.